Atrazine became the most popular post-emergence herbicide for St. Augustine grass in the 1950s. Research at the University of Florida produced evidence that the herbicide was an effective selective weed control of both broadleaf and grassy weeds in warm-season grasses. Broadleaf weeds are a type of perennial weed found in St. Augustine grass; broadleaf weeds are typically controlled with a post-emergence herbicide. Grassy weeds are generally harder to identify, but this is not the case with St. Augustine grass. Because of the difficulty of removing grassy weeds in St. Augustine grass, pre-emergence weed control is recommended. Pre-emergence control should be applied in the spring to control summer weeds, and in early October to control winter weeds. Post-emergence application can be used selectively on weeds invading lawns. Atrazine can be used as either a pre- or post-emergence herbicide, but caution should be taken not to apply this herbicide in extreme weather temperatures. Applying such a strong herbicide in the late summer heat can be damaging to the grass and surrounding vegetation. Although St. Augustine grass is unique in that it is not harmed by atrazine, there are some dangers in using this herbicide. Atrazine can damage other types of vegetation, including grasses found in the same climate as St. Augustine. Also, atrazine is water-soluble and has been found to leak into groundwater supplies. 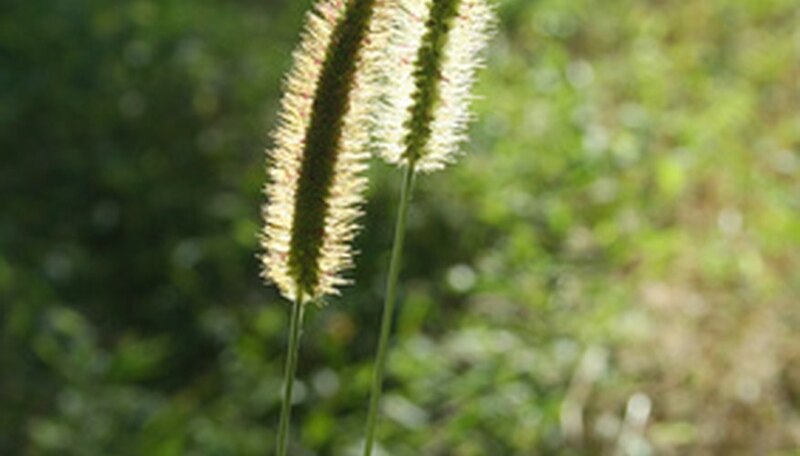 St. Augustine grass can also be protected against weeds by frequent mowing as most weeds cannot tolerate it. This is especially true for St. Augustine grass; mowing St. Augustine grass at a high setting can prevent Bermuda grass from growing.